Nebraska Statewide Arboretum participates in the Community Services Fund Combined Campaign. 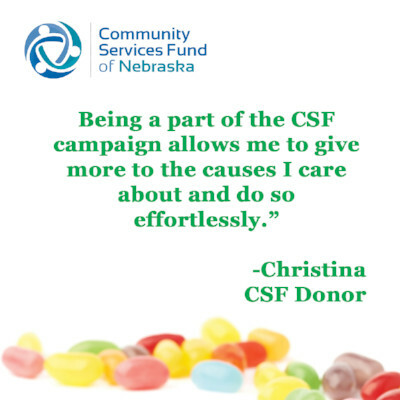 To learn how you can easily give through paycheck deduction or get your workplace involved, visit Community Services Fund. Increase your donation with employer-funded matching gifts. Many companies provide matching gift programs that multiply their employees' charitable donations. If you or your spouse are employed by a matching gift company, your contribution to the Nebraska Statewide Arboretum could be significantly increased. To obtain a matching gift from your employer, contact your human resources department. Complete the donor/employee part of the form and send it with your contribution to the Nebraska Statewide Arboretum. We will complete the foundation's portion of the form and return it to the company to initiate their fulfillment of the match. A helpful resource to see if your workplace has a matching program.